hey, so lovely. your sense of tree bark, texture in general is keenly observed but added with a touch of whimsy. i love the hair flying too! 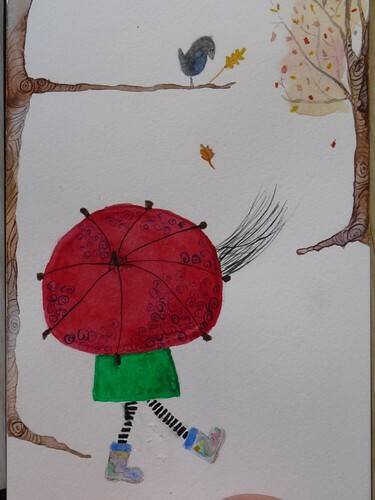 sometimes when you are trying to walk with an umbrella, that's actually what you feel like your hair is doing! :) can't wait to see what you are up to next!